One Owner Vehicle!! LOTS OF CARGO SPACE!! 7-Passenger Seating!! Heated Seats and Steering Wheel!! Stow-and-Go Seating Feature!! Well Maintained!! Back-Up Camera & DVD Entertainment System!! Clean Carfax Report with Buyback Guarantee!! 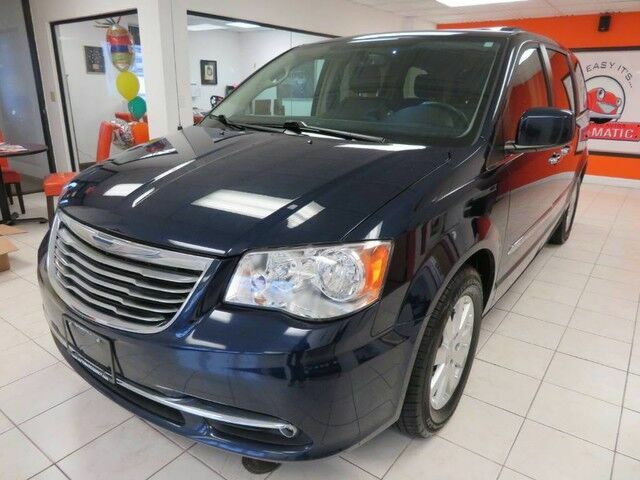 2015 Chrysler Town & Country Touring, 3.6L V6, Blue with Black Leather Interior, features AM/FM CD/MP3 with Aux Input, Dual Power Sliding Doors with Power Window Feature, Multi-Zone Climate & Air Conditioning, Power Locks, Windows, Mirrors, Cruise Control, Fold-Away Rear Seats, Power Rear Vent Windows, Roof Rack. Power Tailgate, and Alloy Wheels. Just Serviced, Automatic Certified!